"Esotérick Satie is really a great piece of work, the choice of works and the order between these is tasteful. Most professional pianists seem to have major difficulties catching the secret atmosphere behind them, and to perform them the way Satie intended to, but Alessandra does it with great affection". 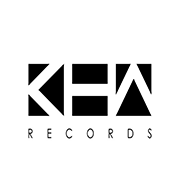 "Thanks to Alessandra Celletti and KHA Records for her refreshing, vigorous and sensitive recording of Satie. It is aptly titled 'Esotérick Satie'". "The sensitive interpretation by Alessandra Celletti highlights the fundamental homogeneity of the composers work, who through the diversity and multiplicity of his explorations, has constantly striven to liberate himself from his own subjectivity". "Alessandra Celletti draws from these very well known works (A. Ciccolini, J.J. Barbier, R. De Leew) the inner strenght to recapture our flagging attention. Her Piecès Froides vibrate with a rare light and the three Gymnopédies are refreshed by a clear, delicate, performance. The rhythm remains suspended, rigorous and grave. The humour, the non-sense and as well as the absurd are elegantly and pointedly expressed in the Sports et Divertissements, from which the interpreter has chosen three short movements". "Erik Satie was a searcher of genial sounds and a free spirit. 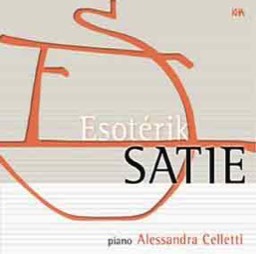 At this point the young talented pianist Alessandra Celletti has emerged in order to compose Esotérik Satie. With a strict sense of measure and a delicate interpretation Alessandra moves from Satie's evolutions experimenting through an original research of the French composer's musical harmony." "This anthology composed with love reveals to us the most sweetly sad side of Satie's work ... What makes this album so attractive, and finally so necessary, is that Alessandra Celletti perfectly possesses the ways to make us share this feeling". "Erik Satie's music can't be played by just anyone. Because it requires a particular sensitiveness, a love without boundaries. A predisposition to easiness and meditation. An approach to musical notes, aligned on the great French artist's pentagram, which the pianist Alessandra Celletti has made her own with great passion."